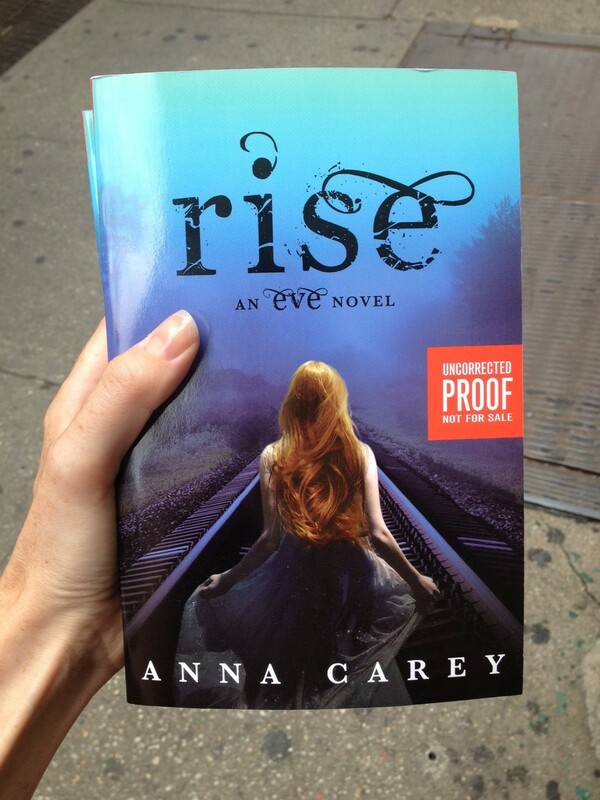 While I was in New York this week I snagged two advanced reading copies of RISE, the final book in The Eve Trilogy. With the exception of my editor(s), only two other people have read it. My favorite reaction so far was "It's giving me panic attacks!". If you're mad at me for the ONCE cliffhanger, or you just need to know what happens next, leave your favorite EVE or ONCE quote/scene in the comments below. I'll pick two winners at random. Contest ends September 17th. Ready...Set...Go! Love and a billion THANK YOUS to all who entered. It was so great to see all your favorite moments from EVE and ONCE--the happy, the poignant, the terrifying and funny. I've selected two winners at random, and you'll see my comments in the entries below. Congratulations to you both. For everyone else...please stay tuned for more contests soon!